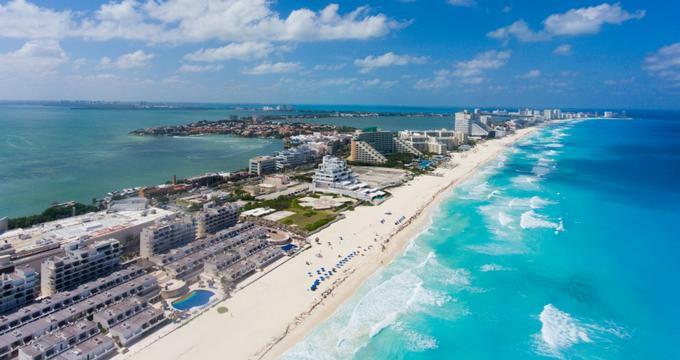 Cancun is one of the most popular vacation spots in Mexico. Located on the Yucatan Peninsula on the coast of the Caribbean Sea, Cancun offers a plethora of opportunities for visitors. For those looking to get active, there are surfing lessons, scuba diving courses, and plenty of snorkeling to be done, while those who wish to stay dry can take a ride on a glass bottomed boat to see an underwater sculpture park or explore the Maya Cancun Museum. From Taco Tours to Mayan ruins, Cancun has something for everyone, and after a vacation spent exploring cenotes and swimming with dolphins, visitors will see why people come back to Cancun again and again. In the ocean surrounding Cancun, Isla Mujeres, and Punta Nizuc, a massive art installation lies beneath the waves. There are more than 500 life-sized sculptures underwater, and since its installation in 2009 the sculptures have started to become one with the ocean, with new coral life colonizing their surface and forming beautiful natural structures that blend with the manmade sculptures. Visitors of all ages can take a ride on a glass bottomed boat to see these sculptures from the comfort of a dry environment. Those who want to see the sculptures from a more up-close and personal standpoint can scuba dive into the water to swim among the figures. There are over 100 characters in the Cancun Wax Museum, popular and recognizable figures from movies, television, politics, and Hollywood. Visitors will be in for some amazing and fun photo ops in the Cancun Wax Museum, from posing on the ceiling with Spiderman to sitting in the Oval Office with both Abraham Lincoln and Barack Obama. Guests can cozy up to realistic replicas of stars like Katy Perry, Madonna, The Beatles, and Albert Einstein for an unforgettable day full of fun. The ancient Mayan city of Coba experienced its heyday during the 7th to 9th centuries, and it has lain abandoned since the mid-16th century, at around the same time that the Spanish conquered the Mexican peninsula, but centuries of disuse doesn’t make this site any less fascinating. It’s less popular than other Mayan sites like Chichen Itza, and its placement in the middle of the jungle lends it an air of fresh discovery to visitors. Located about an hour and a half’s drive from Cancun, the ruins of the ancient city of Coba have several pyramids, which visitors can climb to achieve gorgeous views of the ruins from above as well as the surrounding jungle greenery. Dolphins are one of the most intelligent species known to man. These fascinating mammals are well known for their incredibly playful personalities and their social behavior. Travelers staying in Cancun can get to know some of these amazing animals on a very close level with Delphinus Punta Cancun. Located in within the Hyatt Ziva, right in the center of Cancun’s Hotel Zone, Delphinus Punta Cancun offers visitors the opportunity to swim with dolphins. With tickets available for singles, couples, groups of up to ten, and families of up to four, everyone will have an opportunity to meet the dolphins and understand just what it is that makes these mammals so special. 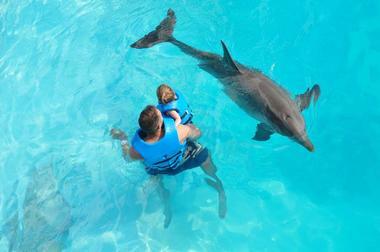 At Dolphin Discovery, guests can not only swim with dolphins, but also learn all about them from the trained staff. 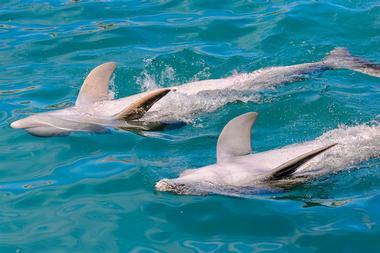 At Dolphin Discovery, guests can choose from three packages for their experience. There’s the Dolphin Encounter, where guests can swim with a friendly dolphin who will give kisses and cuddle with his or her new friends. There’s also the Swim Adventure, in which guests can go for a short ride on the dolphin’s belly or be pulled behind the dolphin on a boogie board. Finally, there’s the Royal Swim, which includes two dolphins who will tow guests through the water by their dorsal fins and push guests until they are standing on the backs of the dolphins for an experience that makes surfing seem dull. 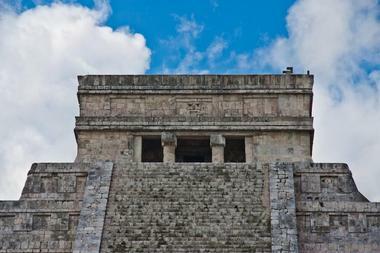 The Mayan ruins of El Meco are a little-known tourist destination in Mexico. Believed by archaeologists to be occupied from about 200 AD until approximately 600 AD, just the process of finding El Meco feels like almost as much an adventure as actually exploring the stone ruins, which include the remains of a structure that was once probably a lighthouse. 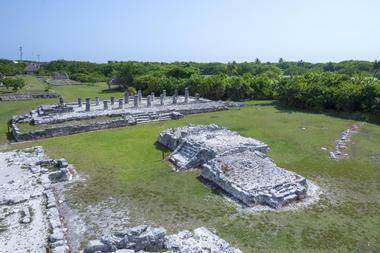 There are no formal tours around the ruins, but visitors will enjoy wandering the ancient stones to see where the jungle has taken back the land, spot the many iguanas that sunbathe in the trees and on the stone ruins, and imagine what the city must have looked like when it was a thriving settlement. Archaeologists have unearthed 47 ancient Mayan buildings at this site, including the remains of a temple in the iconic pyramid shape. 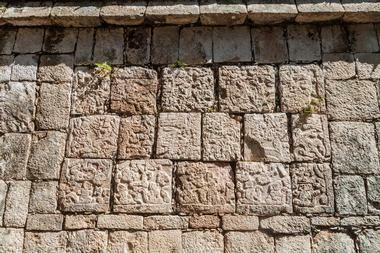 Located in the Hotel Zone, the El Rey Archaeological Zone was once an important part of a Mayan trade route. Its name means “The King,” so called for the large stone sculpture that was found on the premises. 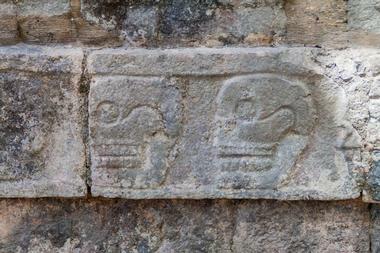 This sculpture is now part of the Cancun Mayan Museum, located nearby. Visitors will enjoy the ancient stone pillars and structures, which are in various states of disrepair, as well as the many beautiful trees and plants that have grown around and over the ancient stone. The astonishing natural beauty at Garrafon Natural Reef Park, located on the island of Isla Mujera, includes sparkling blue water, tall, picturesque cliffs and, of course, a colorful and lively reef habitat beneath the water. Visitors can kayak, hike, or swim to enjoy the sun and scenery, and if they want to take it to the next level they can zipline from almost 100 feet above sea level, down from the highest cliffs of the walk and over the shimmering clear blue waters at speeds that will leave them screaming with laughter. 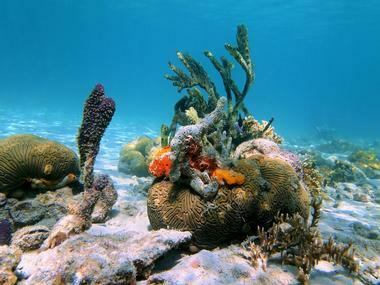 There’s also snorkeling, so guests can see the beauty of the natural reef up close. With just a life jacket, some goggles, and a snorkel, visitors can float without a time limit on the water, seeing life beneath the waves from a different perspective. 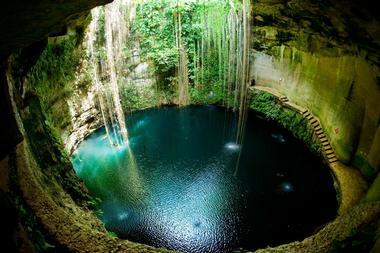 A cenote, which is a natural sinkhole that exposes groundwater beneath the bedrock, is like a deep round pool, usually sunk below ground level like a cave. 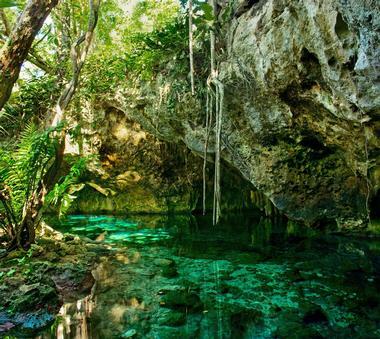 Ik Kil, near the famous Mayan ruins of Chichen Itza, is a stunningly beautiful example of this natural phenomenon. 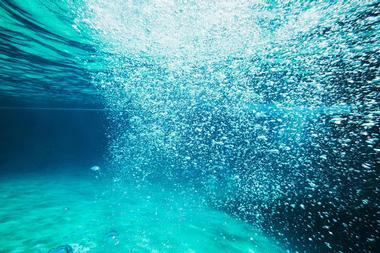 The water is located about 85 feet below ground level, and is accessible by a set of stairs. Vines hang down from the surface, dangling in the air above the water like streamers at a party, and help to provide a stunning setting for a relaxing and unique swim. 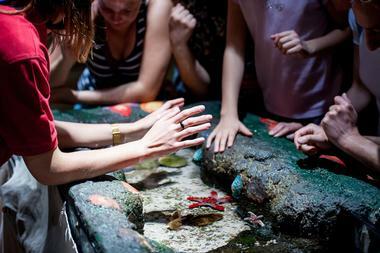 The Cancun interactive Aquarium is home to almost 1,200 species of fish and mammals. The aquarium stands apart from a typical aquarium because it not only teaches guests about aquatic life and allows them to observe, it but also focuses on direct interaction with many species of fish and animals in its exhibits. The aquarium hosts daily shows and presentations about dolphins and sea lions, in which guests can steal a kiss from these amazing animals. There is a theater where visitors can watch documentaries, a fish spa where guests can have a micro foot massage performed by hundreds of tiny fish, and even an opportunity to swim with dolphins. Jetpack Adventures offers its guests the chance to see the water in an experience like no other. 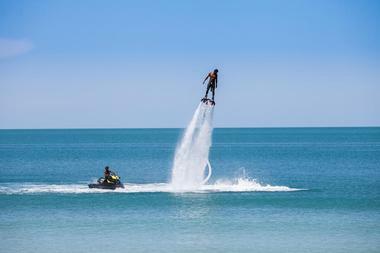 Water jetpacks, jetovators, and flyboards use water pressure to shoot riders up out of the water and into the air. With the help of an instructor, guests will have the opportunity to attempt gravity defying flips and maneuvers, with a soft splash of a landing back into the water afterward. There’s also the Seabreacher, a small watercraft shaped like a shark that allows guests to reach speeds of up to 50 mph as they dive into the water and then come crashing back out of it and into the air. The city of Cancun is definitely well known as a destination for parties and thrilling beachside fun, but destinations like the Maya Cancun Museum prove that there is still plenty of culture to be had in the Mexican Caribbean. 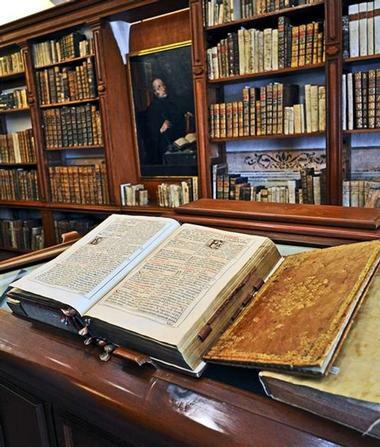 This modern museum contains thousands of items recovered from Mayan ruins, from jewelry to sculptures, with about 500 of the most fascinating pieces on display at any given time. An admission ticket to the Maya Cancun Museum also includes entry to the San Miguelito Archeological Site, which is located next to the museum. At Parasailcenter in the Hotel Zone of Cancun, guests can enjoy a stunning view of the beach, the water, and surrounding areas while on a thrilling ride in the sky. Parasailcenter’s experienced staff will teach guests the proper techniques and safety regulations before putting them in the best seat in the house for the ride of their lives. 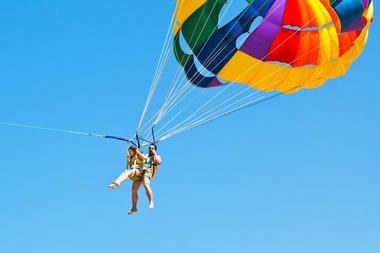 Guests can parasail by themselves or in groups or two or three people. Children under 15 cannot fly alone, while those between 15 and 17 years of age may but must have signed parental permission to fly solo. 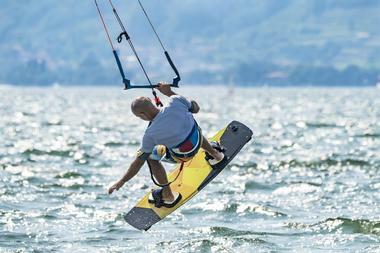 Parasailcenter is open daily from 10am until 4pm. This small planetarium in Cancun offers guests a chance to get up close and personal with the stars and the wonders of the universe. Visitors can sit back in one of the comfortable, reclining auditorium seats and watch as constellations, galaxies, and other planets are revealed in astonishing detail. In the evenings, the observatory’s collection of telescopes offers a great view of the real sky, and the science museum attached to the planetarium displays educational exhibits about space and the cosmos. 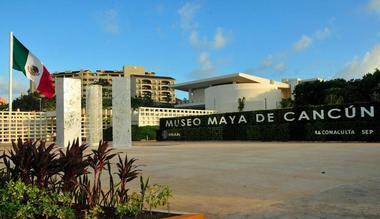 The Planetario de Cancun Ka ‘Yok’ is open from Tuesday to Sunday, from 11am until 7pm. Located on the same premises as the Maya Cancun Museum, the San Miguelito Archeological Site is one of the newest Mayan ruins to be opened to the public. San Miguelito is a significant site because it is one of the only discovered Mayan ruins that still bears evidence of the protective sand dunes behind which the Mayans typically built their settlements. For an excellent idea of some of the artifacts and items that the Mayans would have used in this settlement, guests can also explore the Maya Cancun Museum. A ticket to the archeological site is included with entry to the museum. 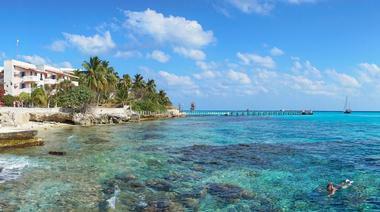 ScubaCaribe offers its customers the chance to experience Mexico from the water. Through jet skiing, boat tours and rental, fishing excursions, snorkeling, and even a pirate show aboard a Spanish galleon, ScubaCaribe’s menu is packed with options for an unforgettable experience. As the name implies, ScubaCaribe also offers scuba diving lessons and excursions for guests, with options for single or double tank dives and destinations that include underwater sculptures, shipwrecks, natural reefs, and even the massive underwater stalagmites of a cenote. For a full list of services offered at ScubaCaribe, visit their website. 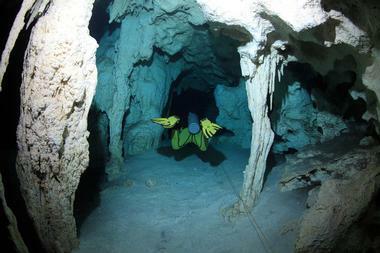 The Sistema Dos Ojos are a series of underwater caves just south of Playa del Carmen. The name means “two eyes” and refers to two round cenotes next to each other, which resemble two large eyes looking into the underground waters. 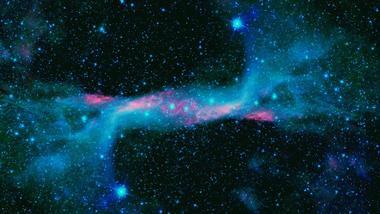 The full extent of the caves has not yet been explored, but about 40 miles of caves have been documented. A scuba diving experience into Sistema Dos Ojos will take visitors down into the caves, where they can explore some of the most amazing underground caves and rivers in the world, full of stalagmites, interconnected passageways, and hidden coves. Dives can be reserved online through Hotel Playa del Carmen or via Sea Monkey Business. 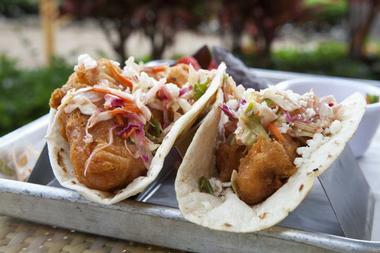 It’s not a trip to Mexico unless there’s some great Mexican food involved, and where better to find the best taco in town than with Taco Tour? Guests will forget all about the orange cheese and hard shells of Taco Bell in favor of the fantastic and authentic food they will try here. Led by an experienced taco guide, each equipped with a sense of humor and the knowledge of the best tacos in Cancun, guests can head into the city for a 2.5-hour tour that will lead them to four amazing taco joints in downtown Cancun. 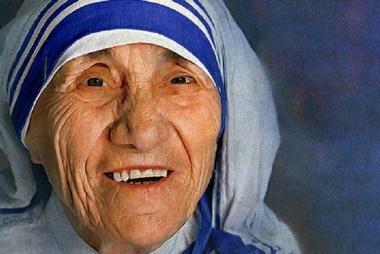 Tours start each evening at 7:30pm and involve a lot of walking as well as a lot of delicious food. Named for the three rivers that converge here into the sea, Tres Rios Ecopark is a 326-acre park that consists of beautiful, green rainforests, ten natural cenotes, and hundreds of species of animals and plant life. 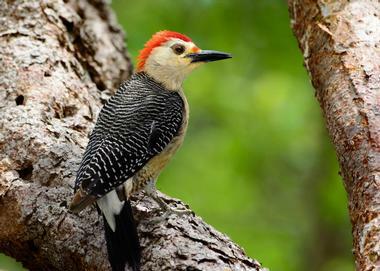 It is unique in that the park contains three separate ecosystems: the dunes of the coast, the mangrove forests, and the humid green of the jungle, all in one place. Guests at Tres Rios can book a number of guided tours of the park, including a biking tour, a snorkeling tour, and a sailing tour. They can also take a nursery tour, which is more educational than the other options and will teach visitors about the wildlife, flora, and fauna found within the Hacienda Tres Rios botanical gardens. Cancun is a party town, and as such it can get pretty crowded. With all the packed restaurants, beaches, and hotels, it’s sometimes really nice to get away from it all. With Utours Private Eco Tours, travelers can get off the beaten track and explore some of the lesser known, but equally amazing, natural wonders of the Yucatan Peninsula. With Utours, guests can snorkel at sunrise on a quiet beach to see a natural reef when aquatic life is at its busiest, explore ancient Mayan tombs, dive beneath the waters of a beautiful cenote, or take a private wildlife tour on a boat to spot dolphins, whales, and birds. 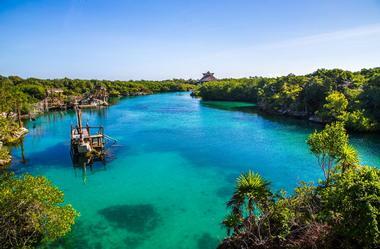 Xcaret Park is an eco-theme park that seamlessly walks the transition between nature and entertainment for its guests. With over 50 attractions, including butterfly pavilions, Mayan ball games, a rotating scenic tower, and ziplining, Xcaret Park has something for everyone. There is also ample opportunity to explore the beauty of the Caribbean Sea, and guests can snorkel in underground rivers, take a high-speed boat ride, and swim with dolphins, sharks, or stingrays. The park is full of activities for nature lovers, adrenaline junkies, and lovers of culture, with performances, activities, and plenty of food that is sure to please all who enter its gates. At Xel-Ha Park, guests can take part in a number of ecological attractions such as admiring the scenery from a beautiful, 100ft tall lighthouse, spotting colorful fish while snorkeling, or relaxing on an inner tube on the Xel-Ha river. Guests can jump from cliffs, test their balance with the Trepachanga, and swing on a rope for a real splash into the waters of a cenote. The gorgeous natural beauty of Xel-Ha is a perfect backdrop for a fun day of splashing, swimming, sunbathing, and even exploring Mayan ruins. 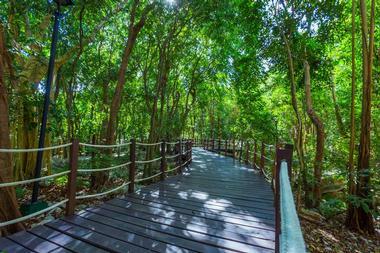 Jungle trails perfect for walking or biking, gardens, beaches, and more await guests at Xel-Ha. With Xenotes Oasis Maya Tour, guests will have the opportunity to learn all about the beautiful natural phenomena that are cenotes. The tour picks guests up in a van right from their hotel, and takes them through the Mexican jungle to visit four distinct cenotes and cenote systems. But the fun doesn’t stop there, because this tour allows guests to zipline over the sunken pools of water, rappel down the cave walls to the surface of a cenote, kayak on an underground river and, of course, take a swim in the refreshing blue waters of a pool unlike any other. The tour provides food, beverages, and towels. 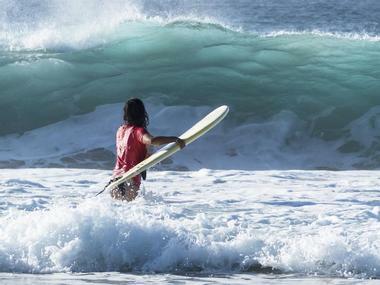 360 Surf School is the top-rated surfing program in Mexico. Located within Cancun’s massive hotel zone, 360 Surf School’s team of NSSIA certified instructors have a success rate of 99.9% in getting people up on a board. They are so confident in their ability to teach that they even have a policy where customers who don’t succeed in standing up and surfing are not obligated to pay for their lessons. 360 Surf School teaches a solid foundation to surfing, including safety, and the gentle waves in Cancun are perfect for beginners to learn the basics. 360 Surf School also offers stand up paddleboard tours. Kiteboarding, sometimes called kitesurfing, blends aspects of surfing, snowboarding, paragliding, and sailing into one very thrilling sport. At Kimex Kiteboarding School in the Cancun Hotel Zone, guests can take individual or group courses in kiteboarding, where they will learn to harness the power of the wind in order to sail across the water on a board. The school offers beginner, intermediate, and advanced courses as well as a course in trick kiteboarding, where guests will be able to learn and perfect the art of doing jumps and flips in the air.